Microsoft’s experimental Garage division last spring launched Word Flow, a predictive keyboard for iOS that allowed users to enter text with a single hand either by typing or swiping. The Windows Phone-inspired keyboard got better over time as it learned your typing style and habits but its unique arc-shaped layout was a turn-off for some. Now, Microsoft has put the app out to pasture. On the app’s product page, Microsoft notes that the Word Flow experiment is now complete (it has also been removed from the App Store). The company thanked users for their feedback and encouraged them to instead download the SwiftKey Keyboard. The discontinuation of Word Flow isn’t terribly surprising. Microsoft, if you recall, purchased leading predictive keyboard maker SwiftKey for $250 million just a few months before the launch of Word Flow. The company last summer updated Word Flow with new search and prediction features as well as support for iOS’ 3D Touch. As Microsoft no doubt realized, it makes little sense to continue forward with competing keyboard apps when all of their efforts could better be spent focusing on a single solution. 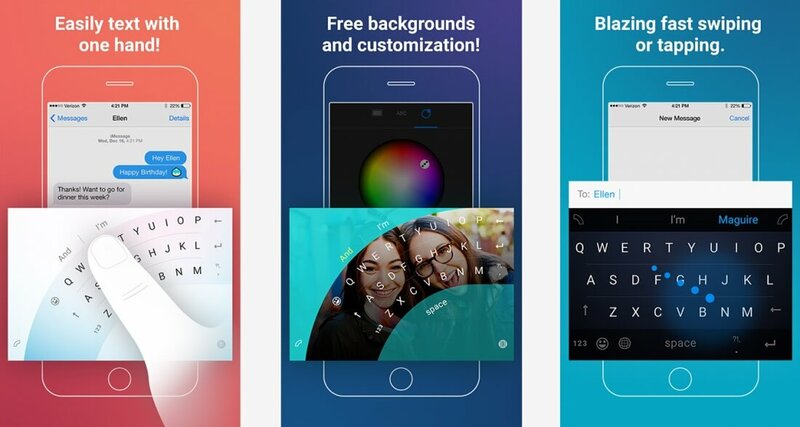 This time last summer, Word Flow appeared to be Microsoft’s keyboard app of the future but it’s now clear that the Redmond-based company has chosen to back SwiftKey instead.